The subject of unfair and deceptive trade practices in business litigation has been in the news of late, especially when it comes to discussions over Bitcoin and supposed claims made to customers about the availability and profitability of the digital currency. Americans spend billions every year, all based on sales linked to labels and advertising; claims which can sometimes be downright misleading. 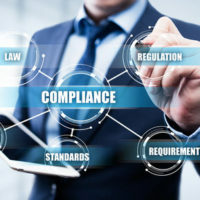 Given that there is no real government agency overseeing these claims, below we discuss what legal and regulatory framework is in place to provide some assurances, both to consumers and businesses trying to be ‘good actors’ in the industry. It can be helpful to discuss otherwise complex legal concepts in terms of everyday examples. Furniture labels are one such helpful example: While furniture makers and sellers are supposed to adhere to the Federal Trade Commission Act, at the same time, the Federal Trade Commission (FTC) rescinded its guidelines for the industry more than 15 years ago, leaving things a bit up in the air–not just for consumers, but for those operating in the industry, as well. “Soy foam”: while this sounds different from polyurethane foam, in fact, things that advertise that they are made with soy foam are actually mostly polyurethane with a small amount of soy. An especially noteworthy Bitcoin-related settlement serves as an important reminder to companies that rely on blockchain technology, highlighting that the FTC does extend consumer protection to a new and emerging technology like this. Businesses are at risk of private lawsuits being brought against them—including class action lawsuits—in addition to government enforcement—if they deceptively sell new technology like this to consumers. This type of litigation brought against a company can ultimately end up destroying it. In this case, the FTC alleged that the defendant companies engaged in deceptive and unfair acts in violation of the Act via the sale and marketing of Bitcoin mining products and services. Consumers were charged between approximately $150 and $30,000 for the purchase of machines that allegedly were never sent to them. If you are “one of the good guys” in a given industry, the last thing you want to do is become associated with unfair or deceptive trade practices. Consult one of our experienced business litigation and transaction attorneys at Moran, Sanchy & Associates today to ensure that your business is free of such claims. We serve business clients throughout Florida.